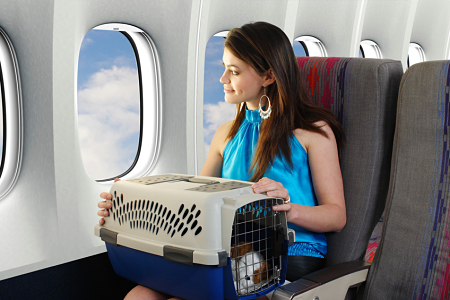 Iberia Express has designed special canvas bags for transporting small pets in the aircraft cabin. These carriers are available for all passengers provided the total weight of their pet plus the carrier does not exceed 8 kg. The carriers will be provided either at the passenger's request or if so required by the check-in agent, if a passenger attempts to use a carrier that does not meet the airline's requirements. The cost of the carrier is €25. Other charges, taxes or duties may be applied, in accordance with the legislation of each country.